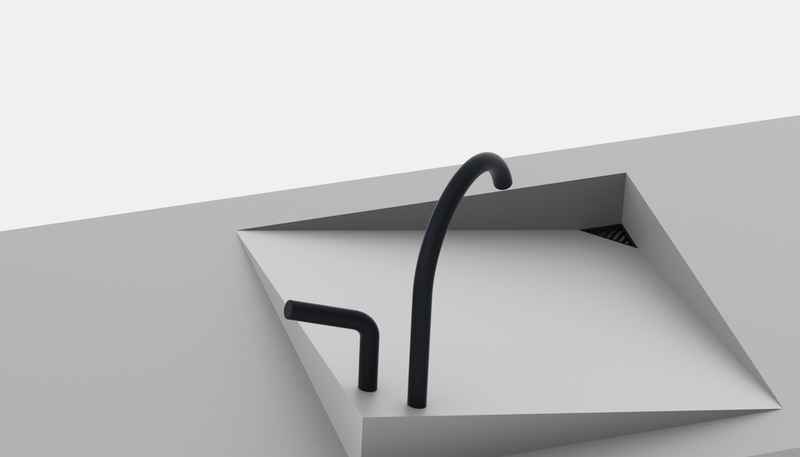 As part of the Reece BIA competition 2014, I designed a bathroom wash basin to submit in the student category. The brief invited entrants to design a vanity unit, functioning as the centrepiece of a bathroom interior. The design was judged based on aesthetic merit, functionality, viability for manufacture and innovation. A panel of eight judges selected from over 200 entrants just five finalist designs, one of which was mine. admirable addition to any bathroom interior. 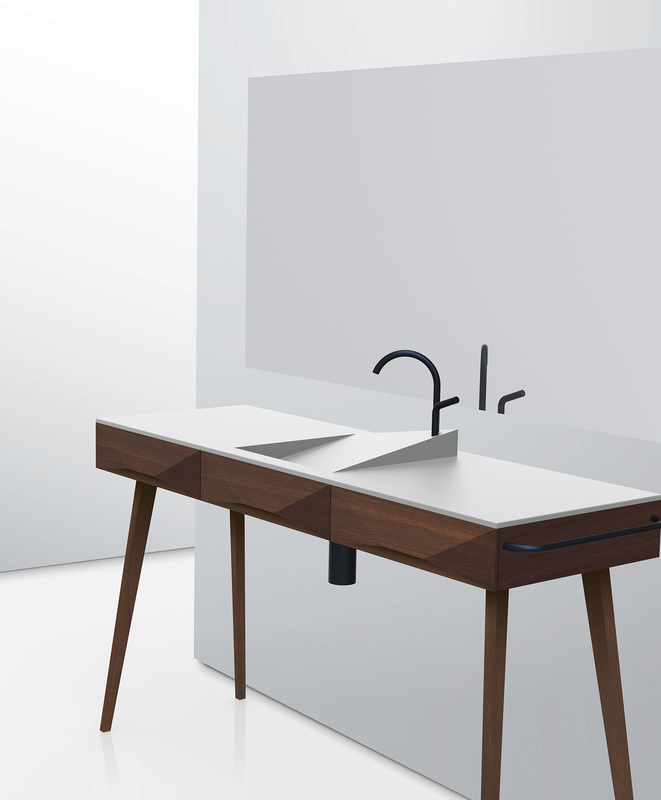 This basin tackles many design issues which make it more than just an aesthetic innovation. 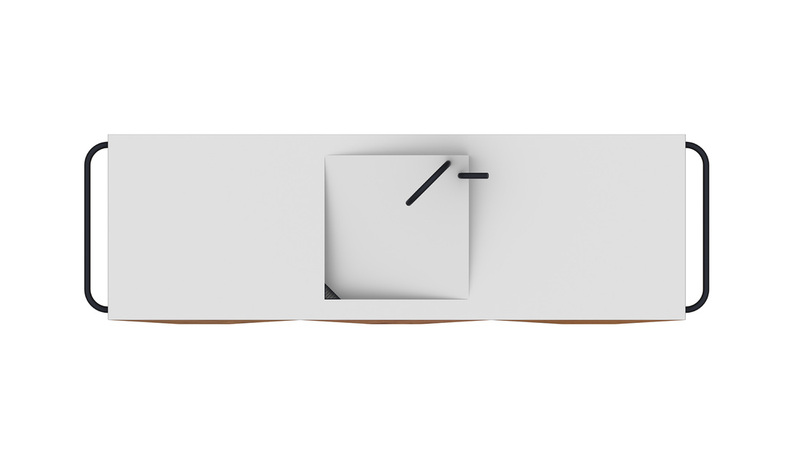 The minimalist timber construction makes manufacturing simple. Whilst the middle draw is not functional, the two end draws are identical, all of the draw facades are the same, and all of the legs are the same. 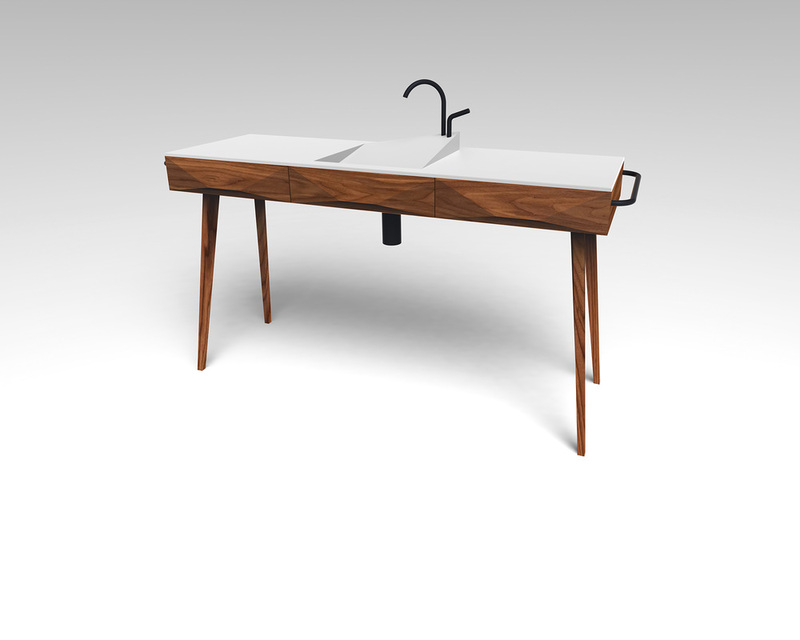 Whilst there is high emphasis on the form, the basin is mostly made from sustainable timber resources, hence the walnut timber selected offers desirable manufacturability and aesthetic value. 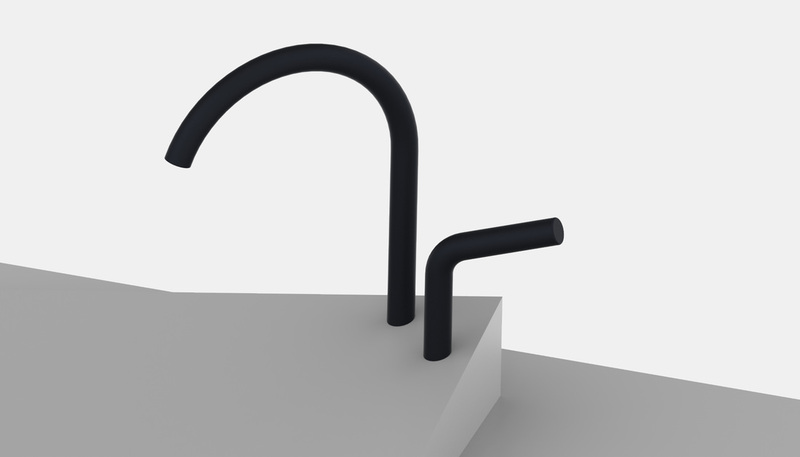 In addition, the basin employs the use of a single mixer tap which eliminates unwanted warm water usage, and ensures that when the tap is turned on the temperature is always cold, making it safer for the user. 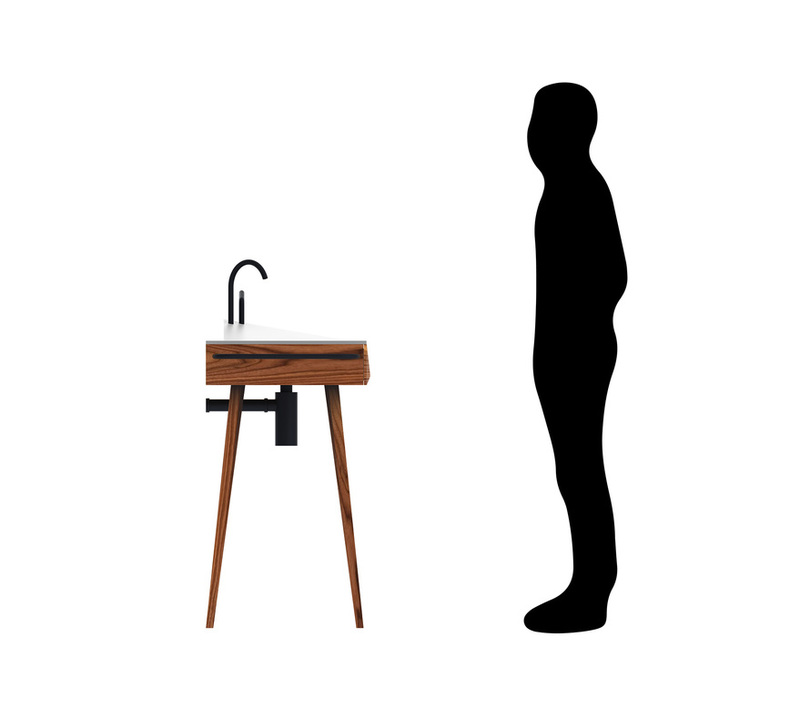 In terms of storage, the minimalist design offers space on each side of the basin, draws for more private possessions, towel racks on each end, and plenty of space underneath if necessary. All of this is achieved in an aesthetic manner.